We welcome adult runners of all standards, and if you are already able to run 5 miles in 50 minutes or less, then the best way to get started is to join one of our regular club runs which take place every Tuesday and Thursday evening, starting at 7.15pm from The Limpsfield Club in Detillens Lane, Limpsfield. We ask that you arrive 5-10 minutes early the first time so that we can pair you with someone of similar ability to ensure you don’t get lost! We welcome new runners to participate in clubs runs for up to 3 sessions to try us out before formally joining as a member. For those of you that are new to running or not quite able to run 5 miles yet, we recommend you start by taking one of our 10 week Beginners group courses, which will get you to 5k. Alternatively, Contact Us and make prior arrangements to join a Thursday evening club run, when assistance can be offered to help you increase your distance from 5k to 5 miles over a number of weeks. You can run up to three times before deciding to join. Choose from the options detailed in the fees table below. We hope to see you at our regular Tuesday and Thursday night runs. England Athletics affiliation (see below for more info) can be added to these two categories for an additional fee of £15. Any renewal fees not paid within 1 month of a member’s first run of the membership year will be subject to an additional administration fee of £5. 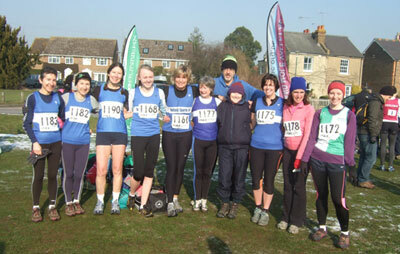 You can also pay by cash or cheque (make payable to Oxted Runners). Please hand to a Committee Member on a Tuesday or Thursday evening. Members wishing to affiliate to England Athletics in 2018 are required to add an additional £15 to their Oxted Runners membership fee. Membership of England Athletics brings a wide variety of benefits for members ranging from reduced entry fees for road races to discounts at Sweatshop and much more. Importantly, it enables you to opt to receive fortnightly bulletins on what is happening in the sport including essential information for athletes to know. To find out more visit the England Athletics Registration & Affiliation on the EA website. Another benefit of membership is that the club receives a free place or places for entry to the following year’s London Marathon. The club normally holds its own ballot for these places at our annual Christmas party. Given the number of places awarded is dependent on the number of affiliated club members, only affiliated members – who have not been successful in the main London Marathon ballot – are invited to put forward their name into a club ballot. Thus if you are interested in running the London Marathon this may be another reason to become EA affiliated. We have a long history of involvement with a neighbouring club, Holland Sports Athletics Club (HSAC) and as a member of Oxted Runners, you also have the opportunity to become a member of HSAC on special concessionary terms. The annual membership is being offered at a reduced subscription of £30 (rather than the normal £65) per annum and in addition, the usual joining fee of £5 is waived. As a member of HSAC you would have the opportunity to participate in the regular Wednesday evening training sessions with qualified coach, Nigel Bongers. Members are also able to use the track at Mill Lane, Hurst Green at other times, subject to availability and take full advantage of the additional services on offer, such as specialist coaching and/or competition in the track & field and cross country leagues, as well as access to the club-house, bar and showers. Then visit the Holland Sports Athletics Club website and complete the appropriate second claim membership form for either adults or juniors (which includes students in full time education up to the age of 21).